Today was an important day in the Plymothian Calendar. 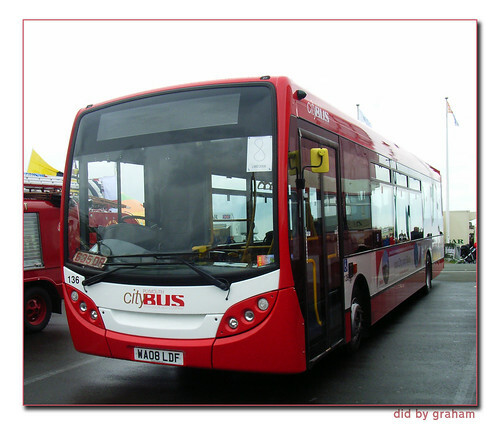 Today was the first public viewing of the new Plymouth Citybus Enviro 200 which took place on Plymouth Hoe today. Such was the attraction of this bus, that the City Council decided to piggy back the Lord Mayors Day Parade onto the same event! 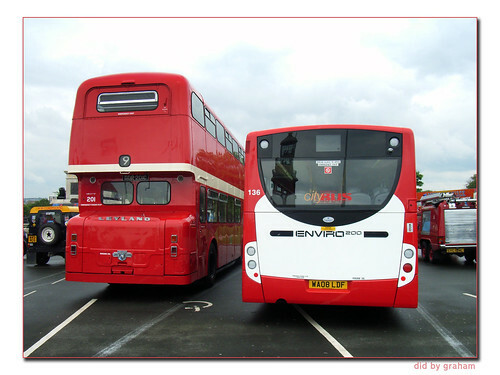 Over forty years difference in the back end of a bus! The bus also took part in the full parade. Lots more Lord Mayors Day photos to follow tomorrow - bet you cant wait! DDR 201C delivered December 1965, WA08 LDF delivered May 2008 a difference of some 42 years and 5 months. Didn't belive your figures until I worked it out myself.